We will advise you when you have the time. A consultation needs your time. Therefore, it makes sense to agree on an appointment in advance. These can be done on the phone, via WhatsApp, or preferably in person in the exhibition. 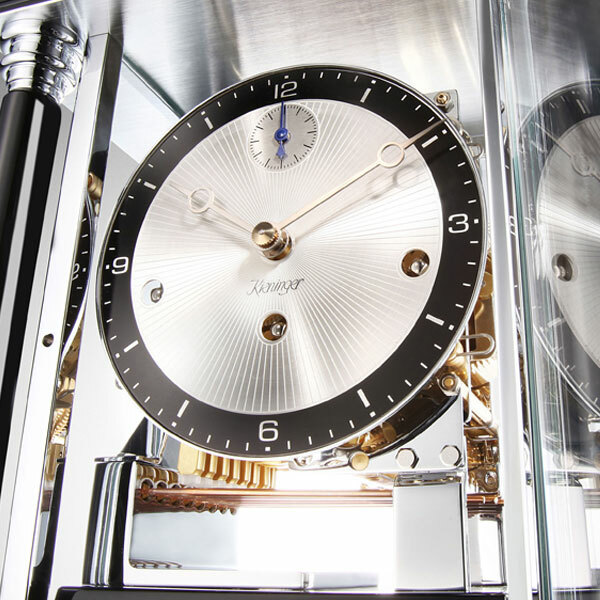 Worldwide insured delivery - so you also enjoy your new watch. 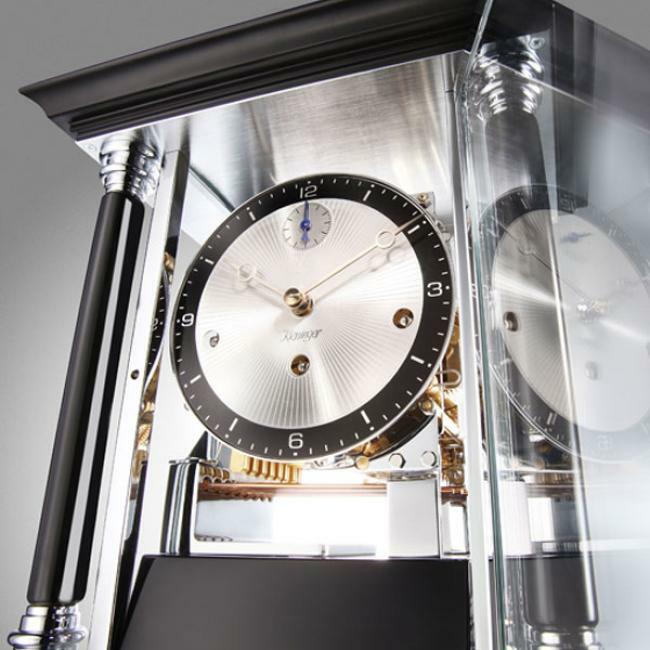 If required, we will deliver the clock directly to the living room. Talk to us about this service. Have you read our more than positive reviews on ekomi? Here you come directly to these gold ratings! Also in the aftermath we are there for you, for questions about a revision, or if something does not work out as it should. 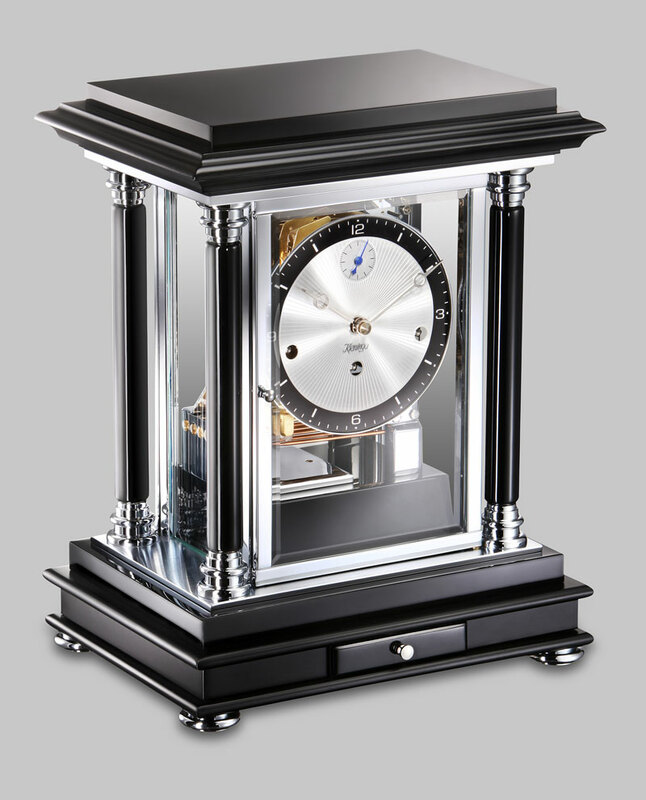 Classic Kieninger mantel clock in contemporary styling: Solid brass chrome plated case with fine black, partly polished laquer finish and attractive solid column caps, 2 doors, small key drawer in the base, silver plated dial with etched sunbeam design and milled Breguet-style hands. Click here to hear the bell. Joseph Kieninger (1872-1936), the founder of todays Kieninger Uhrenfabrik GmbH, was known for the high standards he lived by and expected from his personnel and products. 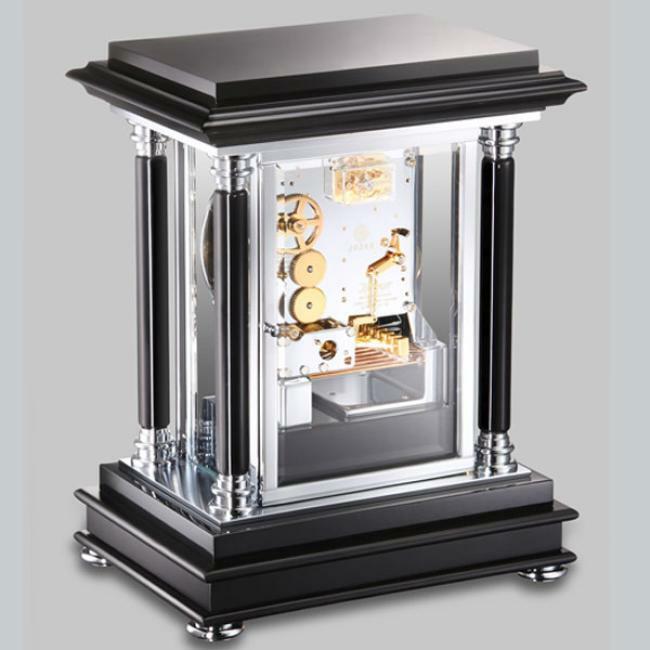 In memory of this Kieninger today identifies its clock models with exceptional movement quality and case craftsmanship with the "JKA"- gear symbol. 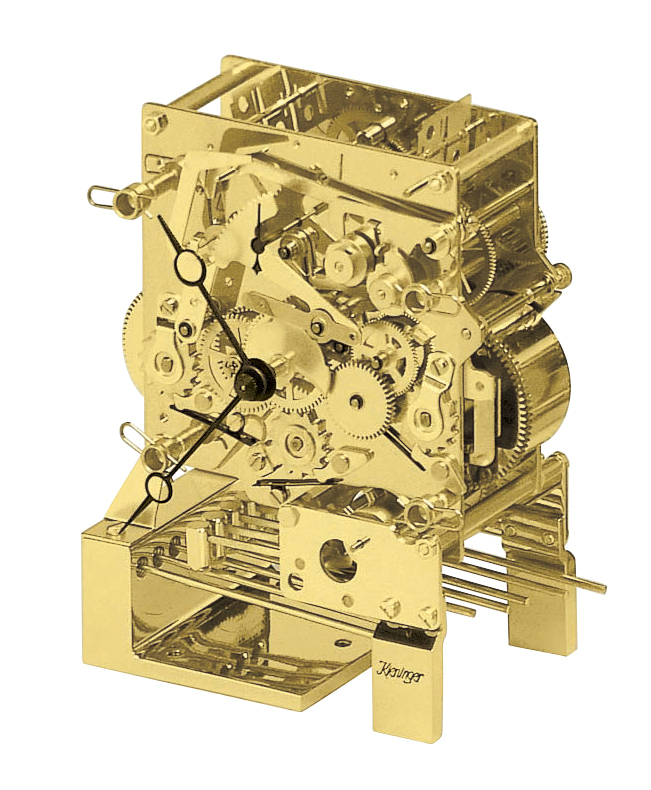 This symbol is the promise to our customers for high end, usually polished clock movements from our own shop, standard with second hand, automatic night time shut-off and some models with maintaining power; the very best in case craftsmanship, for wooden cases with fine lacquer or hand rubbed finish and usually beveled glasses; carefully selected, fine accessories like genuine enamel dials, gold plated decorations and compensation pendulums.